Elecon's Foundry Division (EFD), is ISO 9001-2008 certified and caters to machining and foundry needs of Elecon Engineering. 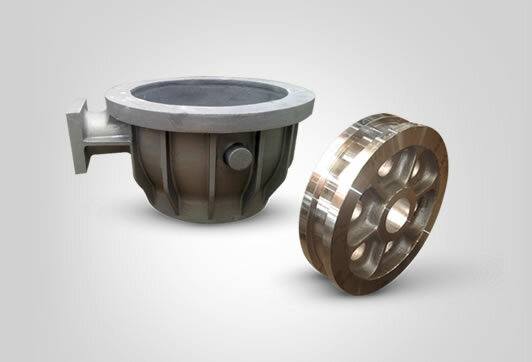 After five decades expertise in the industry, EFD now provides casting and machining services to several other companies other than Elecon group with its ultra modern amenities to fulfil high quality requirements. 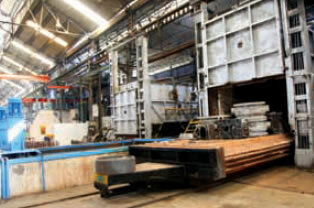 The Ferrous and Non-Ferrous Foundry is spread over ten acres of land, and has state of the art melting, moulding and heat treatment and quality assurance facilities. pc Al. 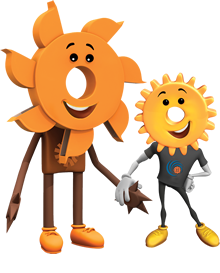 Alloys : up to 100 Kgs single pc. We are using advanced continuous mixer and Alfa set binder for moulding of steel castings and gravity & centrifugal die process for non-ferrous castings. 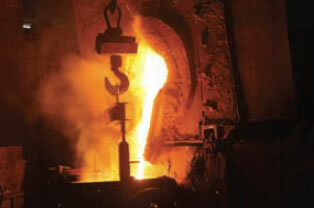 Our castings are testimonial to its superior infrastructure like Induction furnaces, Gas fired furnaces, Centrifugal casting machines, Continuous sand mixer, Heat treatment shop, well equipped laboratory with Tensile testing and Spectrometer. 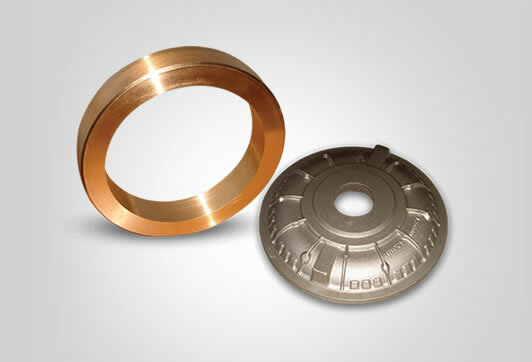 Our castings are tested for Ultrasonic, Radiographic, MPI & DP. For machining we have various sizes of Conventional Turnings, Horizontal and Vertical Lathes. 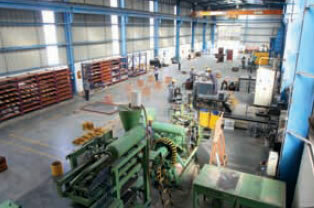 Indian Registrar of Shipping (IRS) approved Foundry for Marine Applications. PED Certification for Pressure Parts. 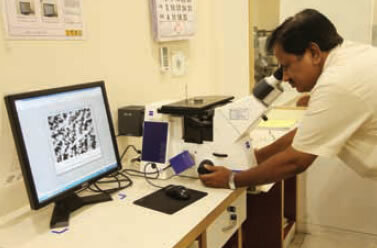 NABL Accredited Laboratory in Gear Division. 2 Lines of OMEGA two part Continuous Sand Mixers with Sand Reclamation unit. Centrifugal Die Casting Machines, 6 nos. in different sizes up to Ø 2200 mm. 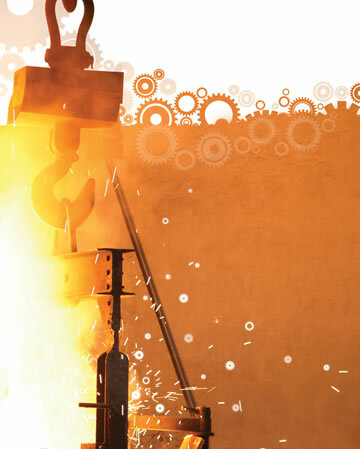 Non-Ferrous: Induction Furnaces - capacity 100, 150 & 500 Kgs. 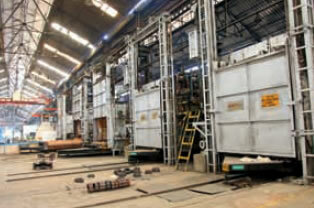 5 Nos Gas fired furnaces in different size coupled with water Quenching facilities. Pit Type Gas Carburising Furnace. In house Painting & Packing shop. Shot Blasting: Hanger Type – 3 Machines. 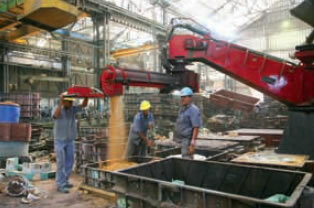 Machining: CNC as well as Conventional Machines. 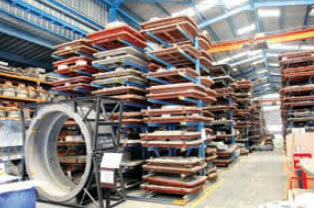 Vertical Turret Lathes, Horizontal & Vertical boring Machines, Plano-millers, etc. Babar Road, New Delhi - 110 001. 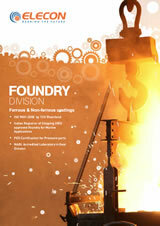 To make an inquiry for Foundry Products.